Discreet and professional wine storage solutions and services. State of the art security and highly specialized refrigeration systems. NCV Wroxton opened in 2010 and set the new standard. Each NCV Member Lounge is an architect-designed, quiet, TV-free, oasis for members to share their wine with other members or their guests. The Lounges have small rooms that can be used for small business meetings or private places to visit with friends. Both Lounges are available to all members. Each location displays art that changes quarterly, and each has its own permanent, commissioned sculpture. Winemakers from around the world share their wines and knowledge with NCV members during informal or formal tastings. 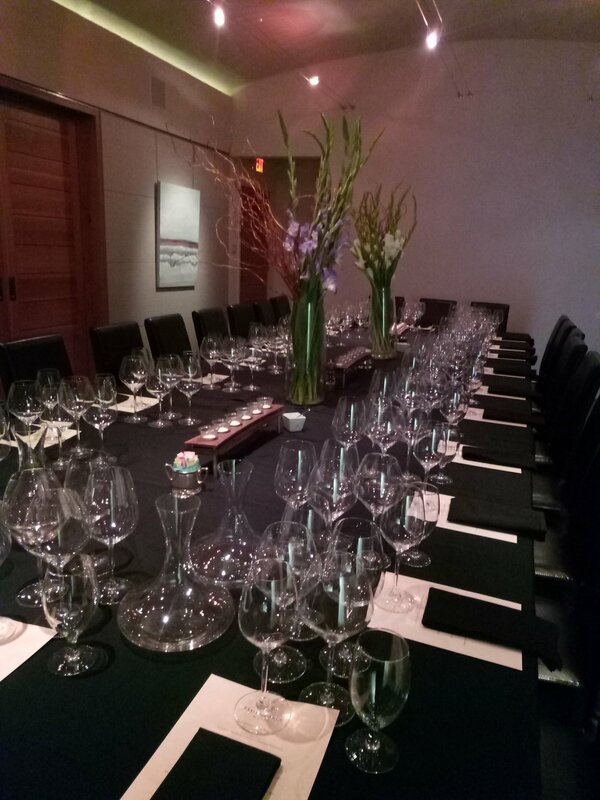 Wine dinners are unusually special because they take place in the ultra-private dining rooms, not in a loud restaurant. Personal one-to-one wine acquisition services as well as curated wine offers are available to all members. The Private Rooms at both locations are available at a discounted rate to all members. The rooms can be used for private dinners, board meetings, business meetings or almost any kind of group meeting. Members can attend Premier Napa Valley, Reveal Walla Walla and the Willamette Barrel Auction as guests of NCV. NCV has relationships with many partners in the wine world enabling members to gain access or services not always available to the general public. NCV has two locations to serve wine collectors in Houston. One in the Rice Village area and one in the Memorial City area. NCV Wroxton opened in 2010 and set the standard for premium wine storage facilities. We are at the corner of Frostwood and Kingsride, behind the Amegy Bank. The information in some GPS listings is not always correct. We are at the corner of Kelvin and Wroxton, a block east of Kirby and a block soiuth of Bissonett. Unmatched expertise to addressing every facet of wine collecting for an experience that is second to none. At NCV, our facilities are purpose-built and specifically engineered to protect your fine wines. To transition your collection from its current location to your personal NCV storage, we offer packing and transport services. Our storage areas are designed to protect the quality and integrity of your wines by eliminating all the environmental threats, including improper temperature, extremely low or high humidity levels, excessive light and vibration. The areas are kept at a perfect wine storage temperature of 55 degrees with a relative humidity of 60 - 70% with redundancy built into the refrigeration systems to maintain the ideal climate should problems arise. In addition, the area is monitored 24/7 using advanced, real time tools that instantly alert NCV if there are any changes in temperature or humidity. Our advanced, biometric fingerprint technology security system ensures only you have access to your storage space. And, our refrigeration experts monitor the climate in the storage area around the clock and are ready at all times to immediately resolve any issue in the event of a power or system failure. To establish provenance of Member wine collections, we leverage reports generated by the climate monitoring tool combined with NCV’s exceptional collection management services. Should you desire additional insurance for your collection, we also offer the services of an independent insurance agency that is experienced with wine.